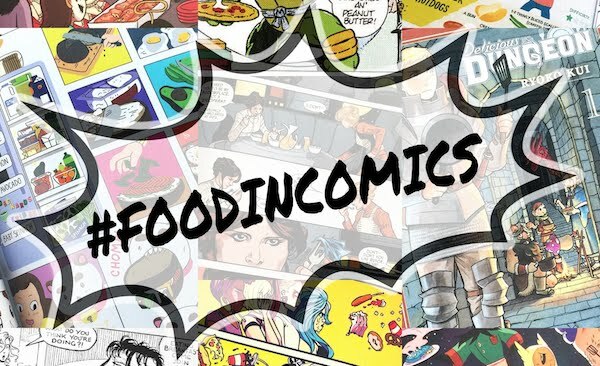 If you'll remember from my previous post for easy kimchi, I love the fact that Korean dramas feature food heavily in their story lines, character interactions, and settings. 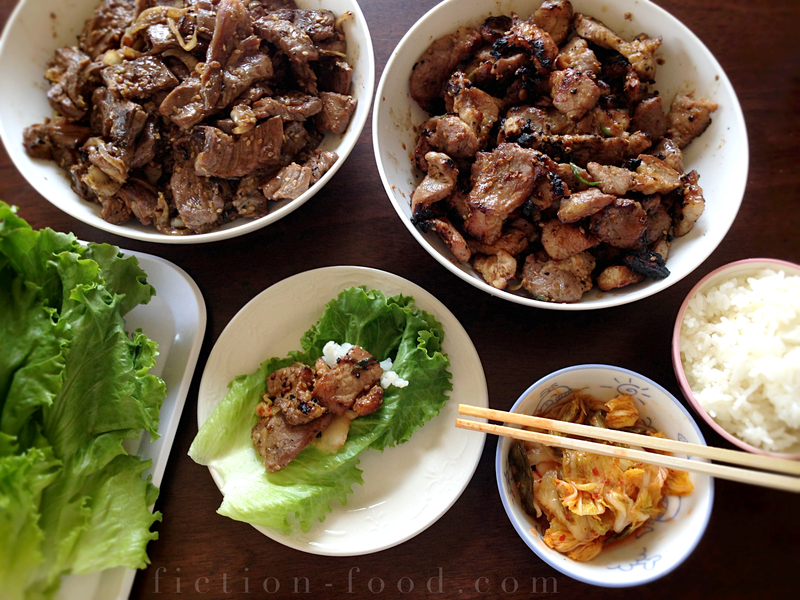 One of the foods that has stood out to me is a dish called bulgogi, especially when it's wrapped in lettuce. 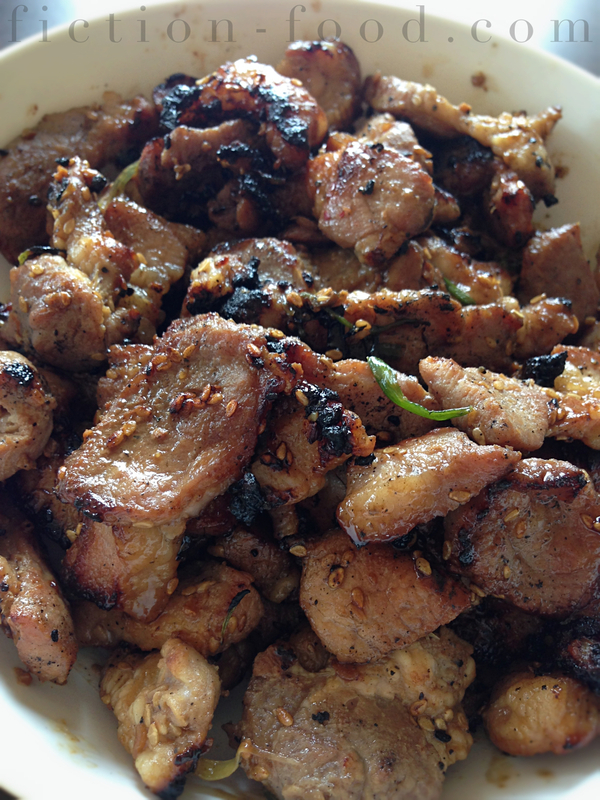 Bulgogi is typically beef, but is often pork (called dwaeji bulgogi), sliced super thin and cut into small pieces, marinated, and then grilled or pan-fried. 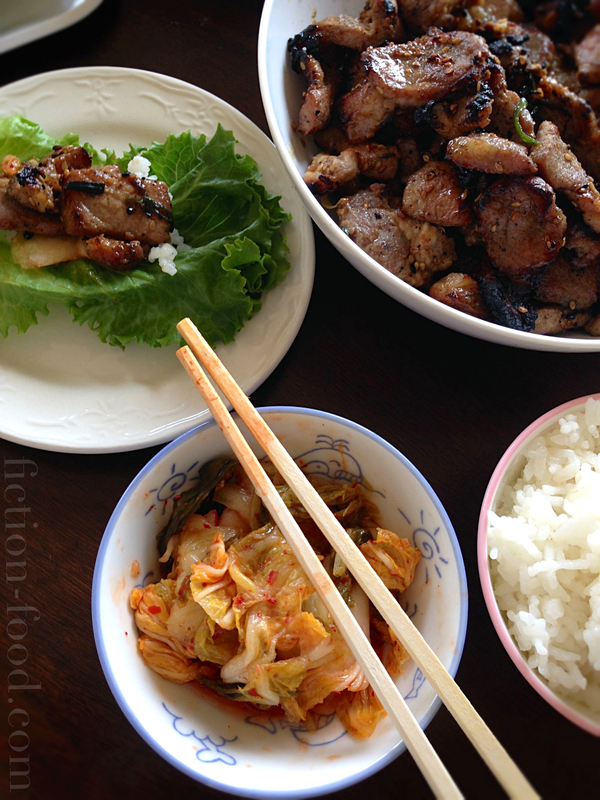 Wrapping the meat in lettuce, often with a little rice and kimchi, is simply a yummy way to get more flavors in your mouth at once! It's like making meat and lettuce tacos or burritos. Two Korean dramas come to mind when I think of bulgogi lettuce wraps; "Princess Hours" (or "Goong") and "Arang and the Magistrate". "Princess Hours" (A.K.A. "Goong") episode 7. In "Princess Hours", a young girl from a middle-class family marries Korea's crown prince (in an alternate history where there is still a ruling royal family in Korea), thus becoming a princess. Lettuce wraps are very common (and yummy!) and the girl would like to eat them in her new palace home, but she is forbidden because the wraps are not seen as refined food fit for royalty. When she and her crowned prince husband visit her family though, after picking fresh lettuce from the garden, she and her family introduce the prince to the delicious fun of lettuce wraps buy stuffing the leaves full of meat and then stuffing the wraps in each other's faces. The atmosphere is so relaxed and the family's closeness is so evident that the prince, not used to such a lifestyle, can't help but smile. The lettuce wraps in "Arang and the Magistrate" come about between two comedic side characters as they gradually fall for each other. The shaman lady makes really good pork bulgogi and at one point wraps it in lettuce. 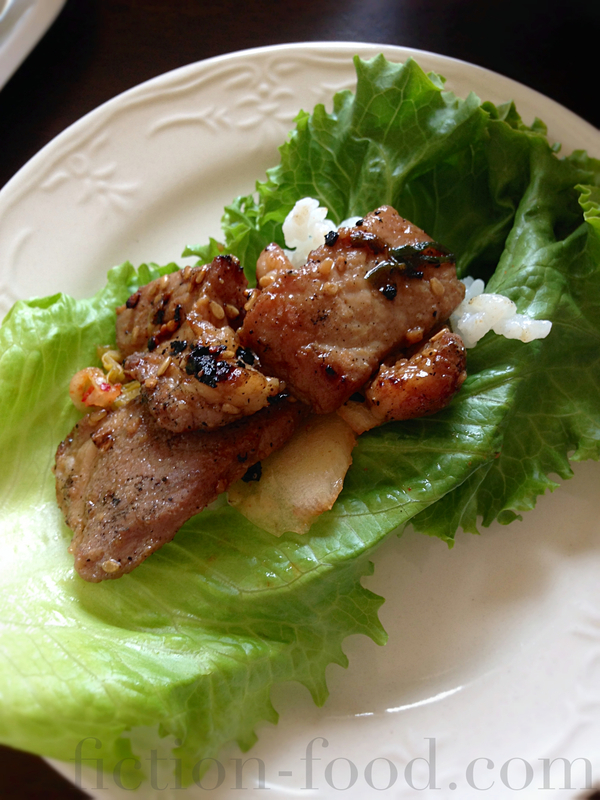 In the story, she is attributed with creating the pork lettuce wrap. The manservant of the magistrate has a bite and falls in love, with her and the food. Note: Bulgogi is traditionally grilled, but these days pan-frying is common as well. I don't have a grill so I've used a pan on the stove, as well as constructing my own make-shift grill, but if you have a real grill please use it! Make sure you put the meat pieces on a mesh rack or something else that won't allow them to fall through into the flames/coals below. 1. In a medium bowl whisk together all of the marinade ingredients. Pour into a shallow dish & add in the meat, making sure all of the pieces are completely submerged. Marinate for several hours or overnight. 2. If using a grill, lay out several pieces of meat at a time, flat, not overlapping, & cook for about 1 minute or less each side, until no longer pink. If pan-frying on the stove heat a tablespoon of sesame oil in a large pan over medium-high heat & cook the strips of marinated meat about the same amount of time (1 min/side or less). Put the cooked meat into a serving bowl & serve alongside a plate of loose lettuce leaves. Hold a lettuce leaf in your hand & put a portion of meat onto it, & then wrap it up & pop it into your mouth (or the mouth of your significant other). Add a little rice and/or kimchi (recipe here) if you'd like. It tastes so good! Bulgogi and lettuce wraps make appearances all over the place in K-dramas. 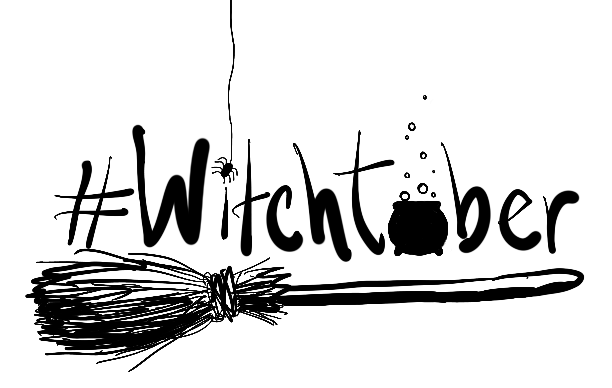 Keep your eyes peeled and let me know in the comments below where you spot them!